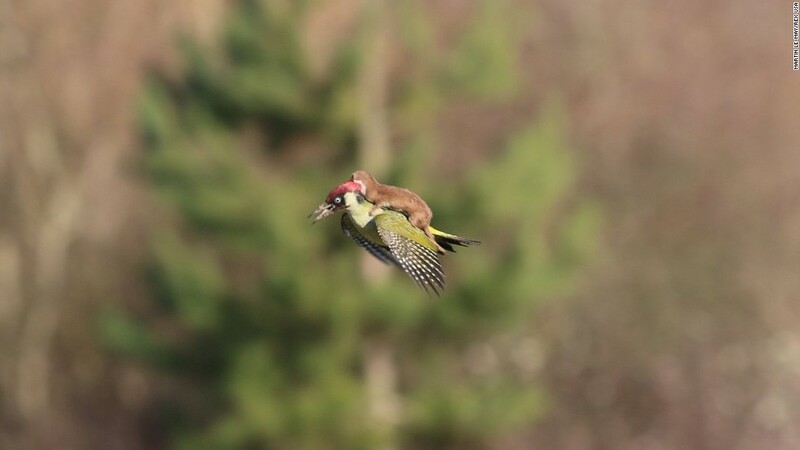 March 2, 2015 – United Kingdom – A weasel hitches a lift on the back of a woodpecker near London. The image, credited to amateur photographer Martin Le-May, went viral on Twitter after it was posted by photographer Jason Ward. Le-May told British television channel ITV that he had been walking with his wife in Hornchurch Country Park when they heard “a distressed squawking” noise and spotted the woodpecker. “Just after I switched from my binoculars to my camera, the bird flew across us and slightly in our direction; suddenly it was obvious it had a small mammal on its back and this was a struggle for life,” Le-May said. Eventually, Le-May told ITV, the weasel lost its grip and the bird flew away. 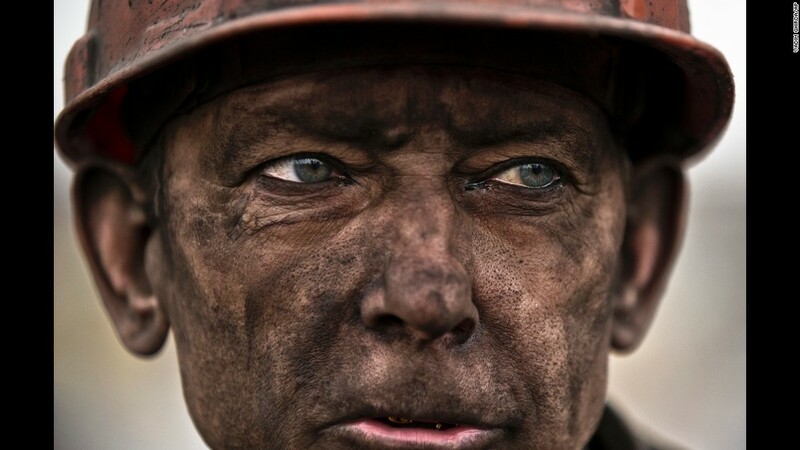 March 4, 2015 – Ukraine – A Ukrainian coal miner waits for a bus after exiting the Zasyadko mine, where he helped search for the bodies of his colleagues in Donetsk, Ukraine. Thirty-three workers were killed after an early morning explosion at the mine. 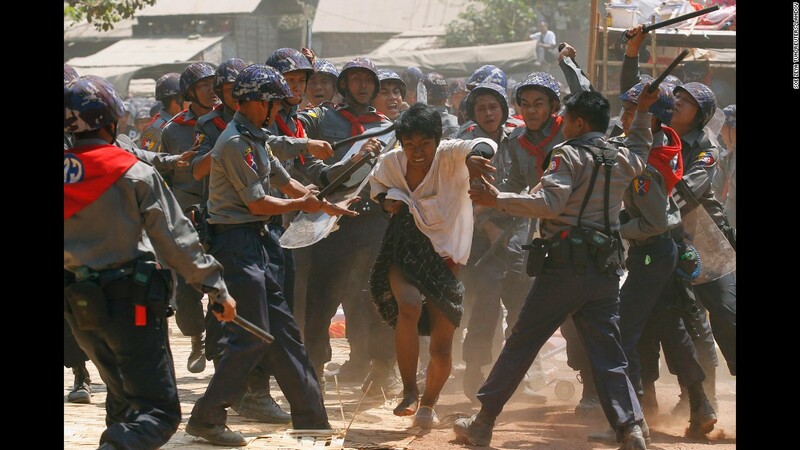 March 10, 2015 – Myanmar – Police hit a student protester in Letpadan, Myanmar. According to multiple media reports and international watch groups, students were met with violence as they marched to Yangon, the nation’s largest city, to protest an education bill they said limits academic freedom. 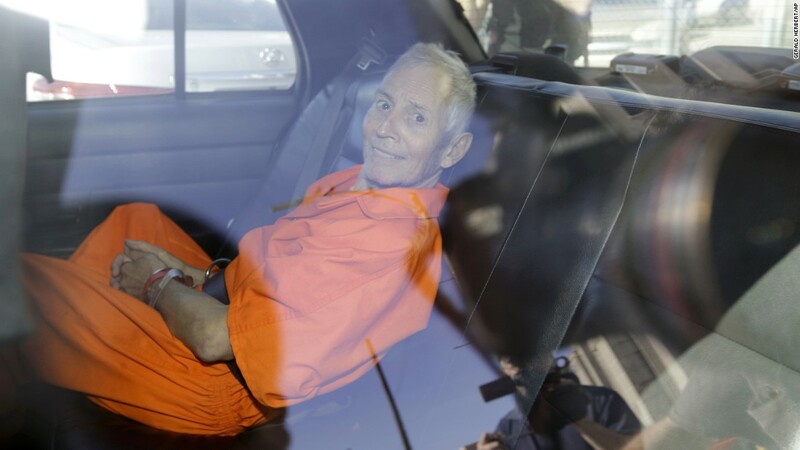 March 17, 2015 – U.S. – Robert Durst, a wealthy New York real-estate heir, is transported to Orleans Parish Prison after his arraignment in New Orleans. Durst faces felony firearm and drug charges in New Orleans, and he has been charged with first-degree murder in Los Angeles. Investigators say they believe Durst was behind the slaying of Susan Berman, his longtime friend. Durst is also the focus of the HBO documentary series “The Jinx,” which explores his wife’s 1982 disappearance and investigators’ suspicions that Berman was killed because she knew what happened to her. Durst has long maintained he didn’t kill Berman or have anything to do with his wife’s disappearance. 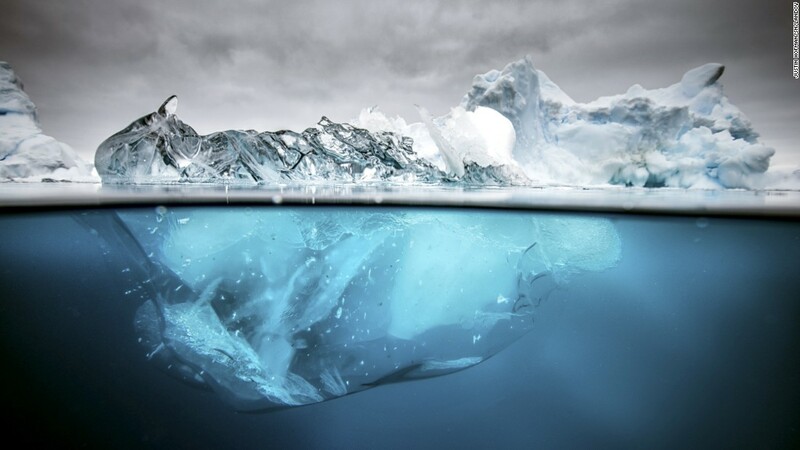 March 17, 2015 – Antarctica – An iceberg in Antarctica, one of the most remote places on Earth. March 17, 2015, Antarctica – An iceberg in Antarctica, one of the most remote places on Earth. 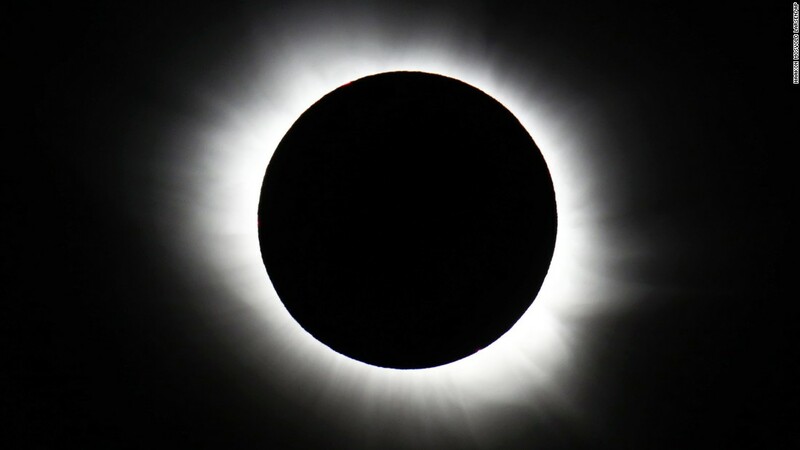 March 20, 2015 – Norway – A total solar eclipse forms over Svalbard, Norway. The rare event was visible from parts of Europe. March 20, 2015, A total solar eclipse forms over Svalbard, Norway. 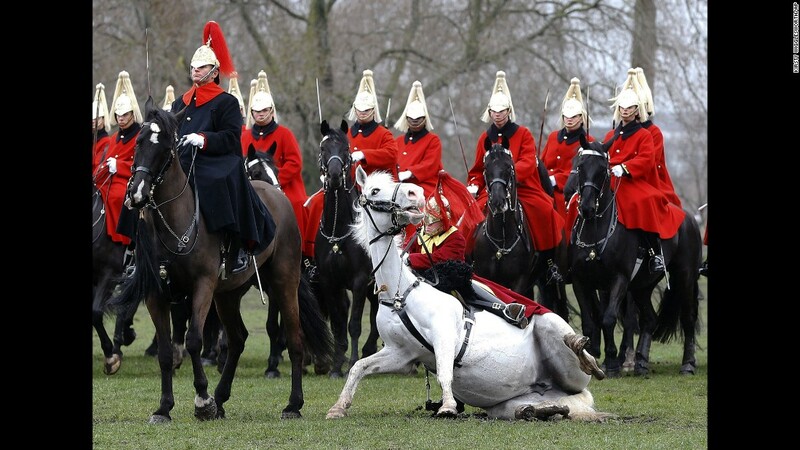 March 26, 2015 – U.K. – A trumpeter falls off his horse as the Household Cavalry Mounted Regiment parades in London’s Hyde Park. The British Army regiment was undergoing its annual inspection. 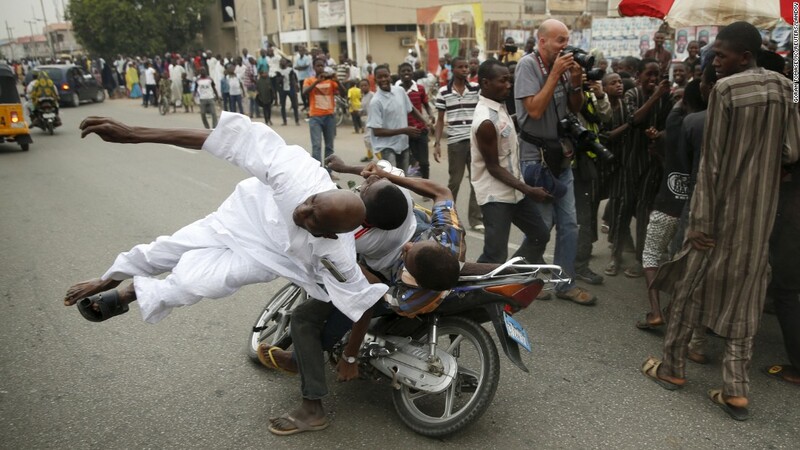 March 31, 2015 – Nigeria – A supporter of Nigerian presidential candidate Muhammadu Buhari is hit by another supporter on a motorbike during celebrations in Kano, Nigeria. Buhari defeated incumbent Goodluck Jonathan. March 31, 2015 – Philippines – The eye of Super Typhoon Maysak is photographed from the International Space Station. The storm was churning over the Pacific Ocean, days away from making landfall in the Philippines. 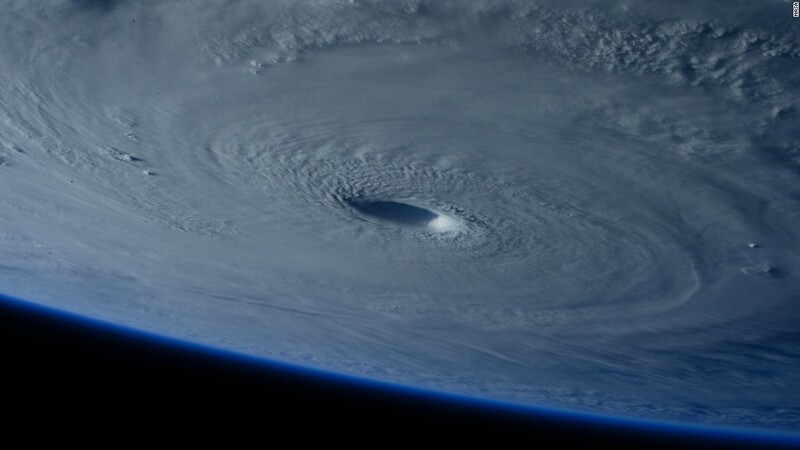 March 31, 2015 – Philippines – The eye of Super Typhoon Maysak is photographed from the International Space Station. 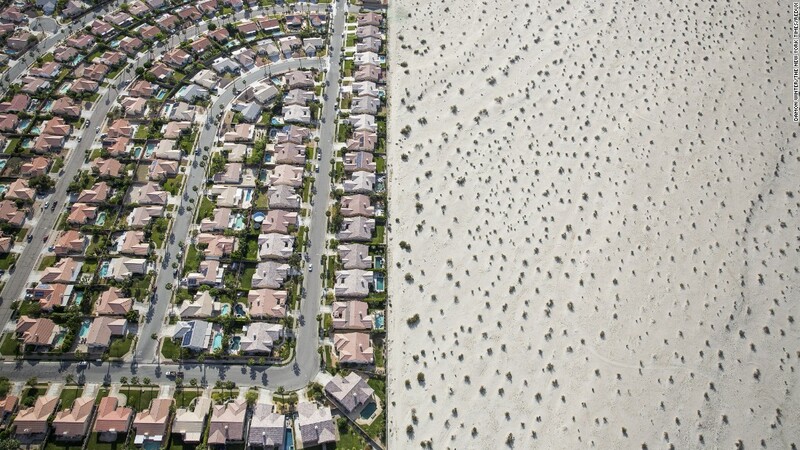 April 3, 2015 – U.S. – A housing development meets the edge of undeveloped desert in Cathedral City, California. California Gov. Jerry Brown imposed mandatory water restrictions on residents, businesses and farms in the drought-ravaged state, ordering cities and towns to reduce their usage by 25%. 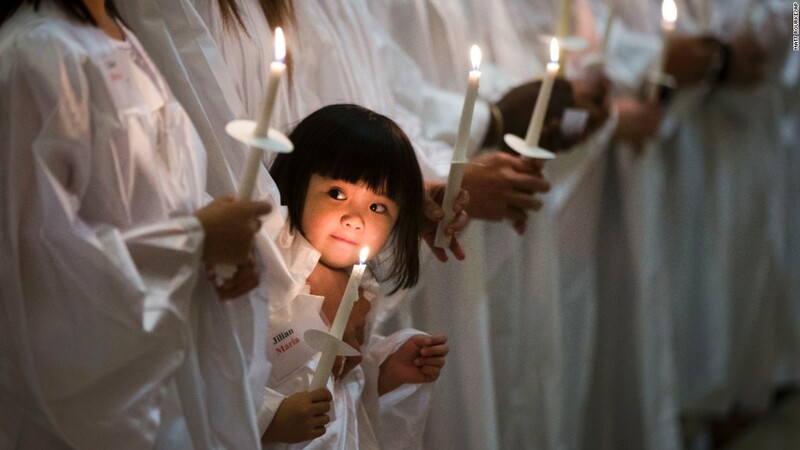 April 3, 2015 – U.S.
April 4, 2015 – U.S. – Jillian Nguyen, 3, stands with others as they are baptized into the Catholic faith in Philadelphia. 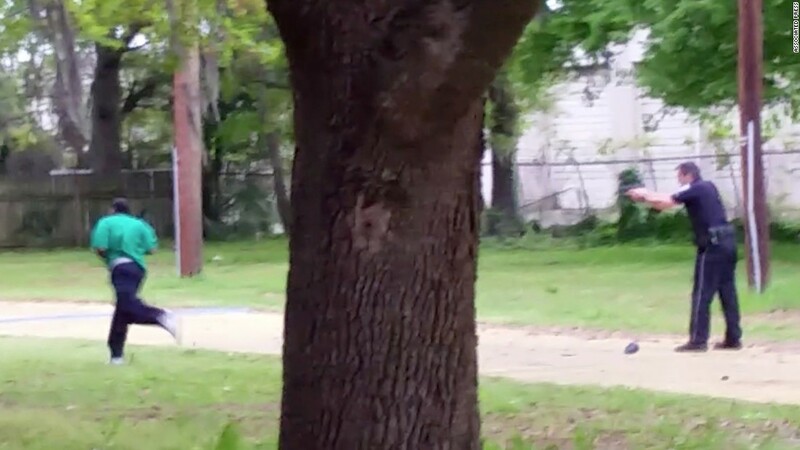 April 4, 2015 – U.S. – A bystander’s video shows Michael Slager, a police officer in North Charleston, South Carolina, fatally shooting an unarmed man, Walter Scott, as Scott runs away. The graphic footage sparked outrage and reignited a national conversation around race and policing. Slager was charged with murder and fired from his job after the video was released. A grand jury indicted Slager in June, and he was denied bond in September. Slager told investigators Scott did not comply with his demands and tried to grab his stun gun. 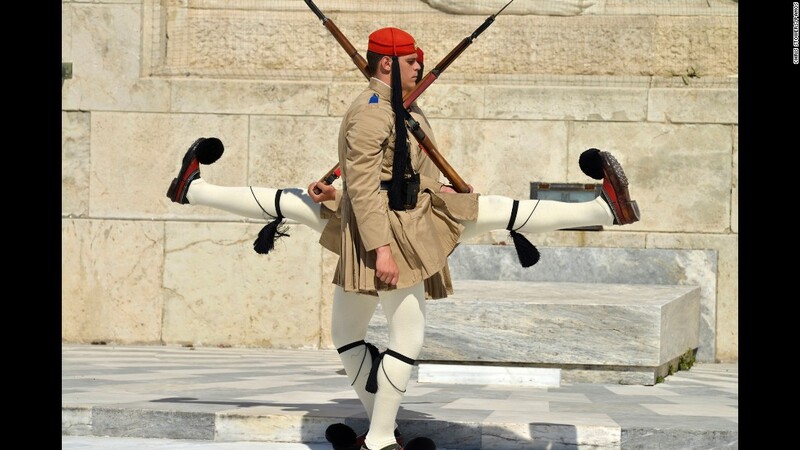 April 4, 2015 – North Charleston, South Carolina, U.S.
April 7, 2015 – Greece – Honor guards march in front of the Tomb of the Unknown Soldier outside Greece’s Parliament in Athens. April 14, 2015 – U.S. – Democratic presidential candidate Hillary Clinton talks with people during a surprise stop in Le Claire, Iowa. The former first lady and U.S. secretary of state has been the front-runner in the Democratic race. 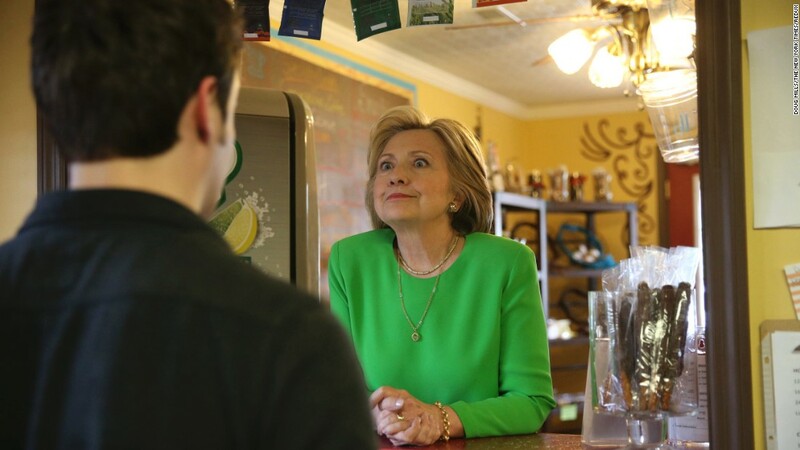 April 14, 2015 – U.S. Democratic presidential candidate Hillary Clinton talks with people during a surprise stop in Le Claire, Iowa. April 18, 2015 – – Mozambican Emmanuel Sithole, left, was walking down a street in Johannesburg’s Alexandra Township when four men surrounded him. Sithole pleaded for mercy, but it was already too late. The attackers bludgeoned him with a wrench and stabbed him with knives, killing him in broad daylight. Photographer James Oatway was nearby and captured it all on his camera. It was the morning after a night of unrest that saw foreign-owned shops looted and destroyed. 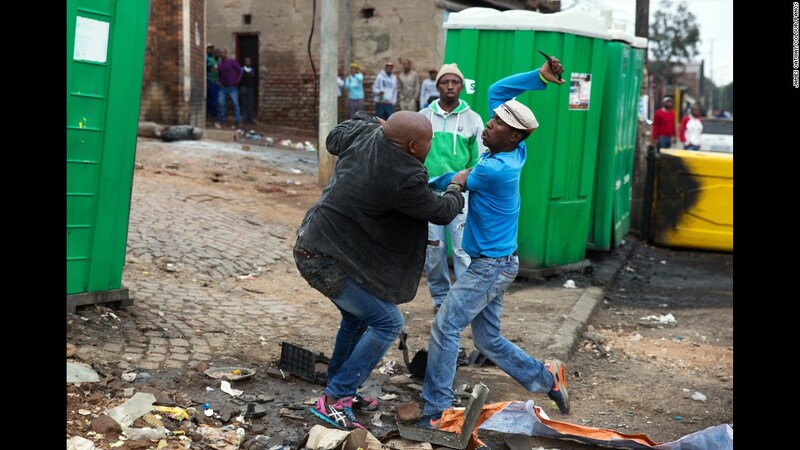 At least seven people were killed in xenophobic violence against poorer immigrants. 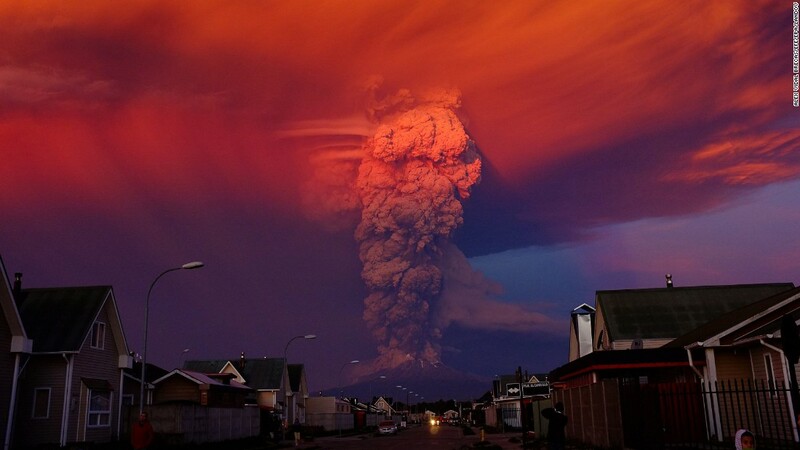 April 22, 2015 – Chile – Smoke rises from the Calbuco volcano near Puerto Montt, Chile. It was the volcano’s first eruption in more than 40 years, and nearby residential areas were evacuated. April 24, 2015 – U.S. – Gordon Satterly, left, kisses his husband, Richard Brand, at a party held in Little Rock, Arkansas, by the International Gay Rodeo Association. April 24, 2015 – Gordon Satterly, left, kisses his husband, Richard Brand, at a party held in Little Rock, Arkansas, by the International Gay Rodeo Association. 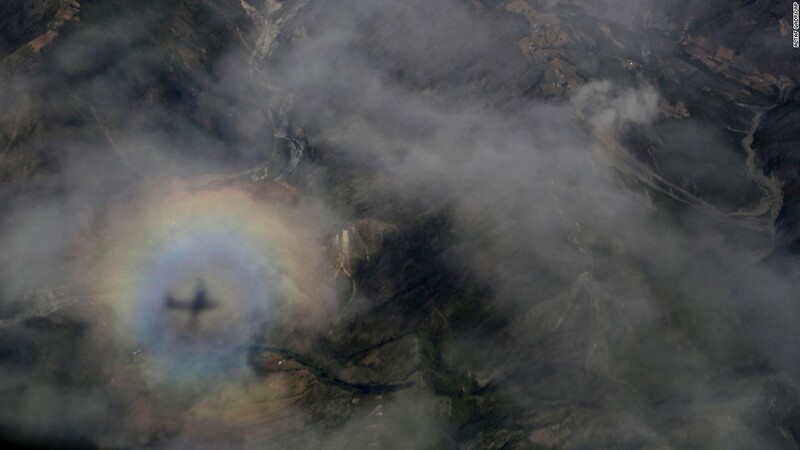 April 27, 2015 – NepalThe shadow of an Indian Air Force plane is cast on clouds as it carries relief material in Kathmandu, Nepal. A magnitude-7.8 earthquake rocked Nepal two days earlier, killing and injuring thousands. April 27, 2015. A magnitude-7.8 earthquake rocked Nepal two days earlier, killing and injuring thousands. 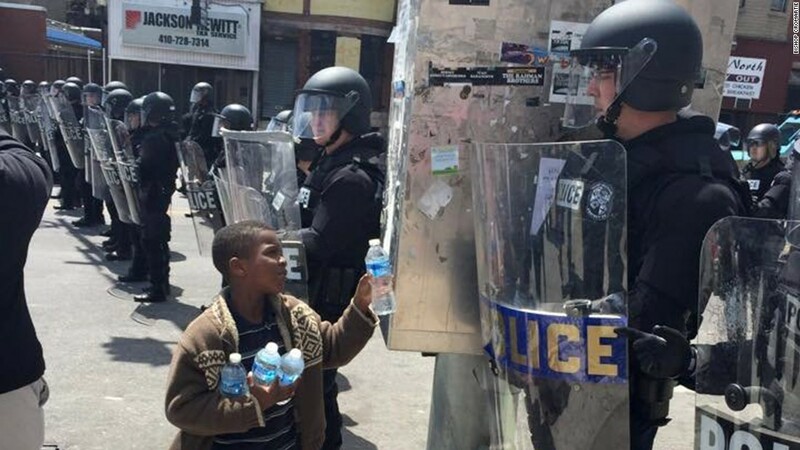 April 28, 2015 – U.S. – A boy in Baltimore offers water to a police officer. Riots broke out throughout the city less than a week after 25-year-old Freddie Gray died in police custody. Gray, a black man, was arrested on April 12. According to his attorney, he died a week later from a severe spinal cord injury he received while in police custody. The case raised long-simmering tensions between police and residents, and six police officers were eventually charged in connection with Gray’s death. April 28, 2015 – U.S.
April 28, 2015 – Spain – Juan Montiel suffers an epileptic seizure as his wife and sister attend to him in Madrid. 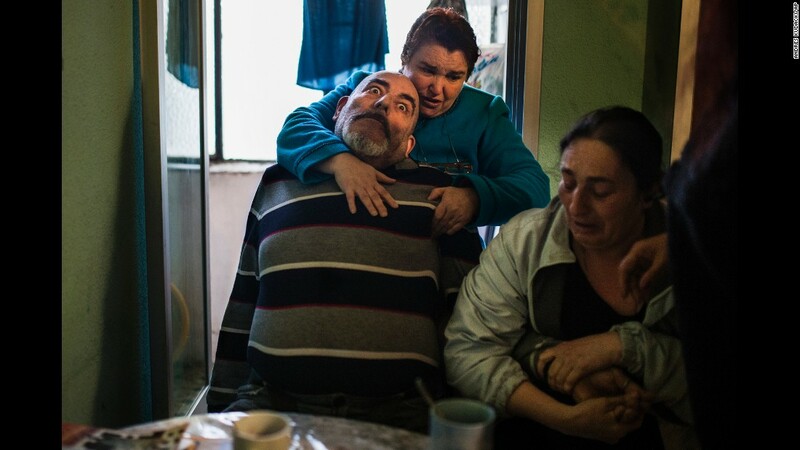 The family was being evicted from their apartment despite protests by housing rights activists. Evictions in Spain have soared since the country’s economic crisis began in 2008, and protesters regularly try to prevent them. 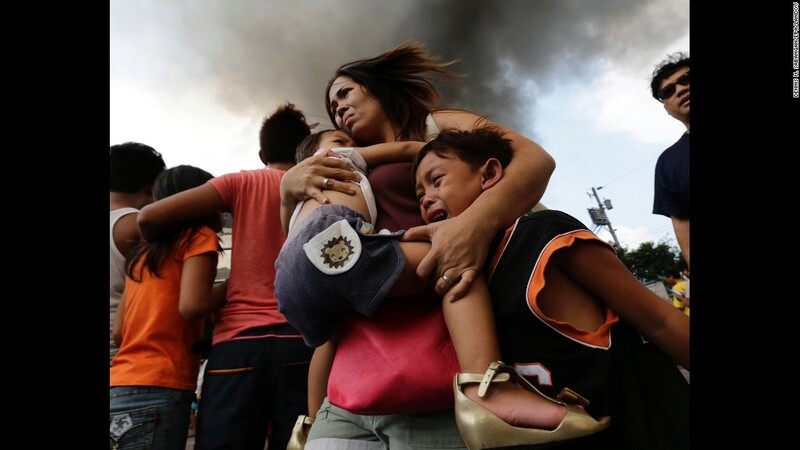 April 29, 2015 – Philippines – A mother carries her children while their house burns at a residential slum area in Manila, Philippines. The Manila Fire Department said the fire left more than 30 families homeless. April 30, 2015 – Ukraine – A girl practices gymnastic exercises on Mikhailovskaya Square in Kiev, Ukraine.